Want to enjoy a fun night of Rock 'n' Roll and Wine?? How about a night of togetherness with friends? Come join us on Friday September 6th @ Ardon Creek as we welcome the band "Cruisin". Come experience the music and entertainment of "The Dani Lynn Howe Band", where country and classic rock collide. You won't want to miss this explosive band. Why your here, come enjoy a nice glass of wine or take a bottle home to enjoy!! 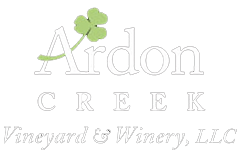 Friday September 20th @ Ardon Creek.